You've got questions, we've got answers. 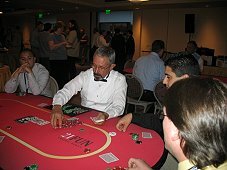 Below we've compiled a list of the most Frequently Asked Questions we receive regarding Casino Themed Parties, Events & Fund Raisers. If your question isn't answered here, please use the Contact Form and let us know what's on your mind! We require a 50% down payment (of the total party cost) to reserve your date. The other 50% is paid when the party is finished. We have a 10% Cancellation fee if not cancelled within 10 days of the event. 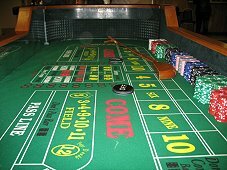 Are Casino Themed Parties legal? Certainly! 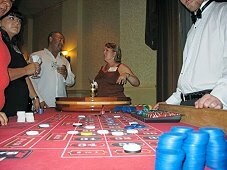 We provide Casino Parties for Entertainment purposes only - Real money is NOT used. No. 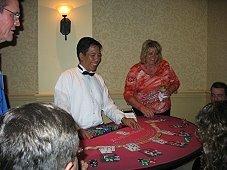 Typically each guest is issued a certain amount of "funny money" upon arrival. 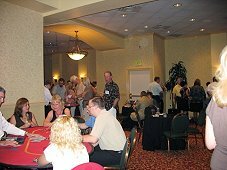 At the end of the night guests use their "winnings" to bid on prizes that are raffled off. Is there a minimum age requirement for event guests? No. Guests of the party or event can be any age. Yes, Of course! 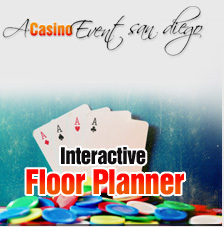 We can provide you with everything you need to literally WOW your guests, with very little effort on your part. Let us know what you want, and we'll do the rest!